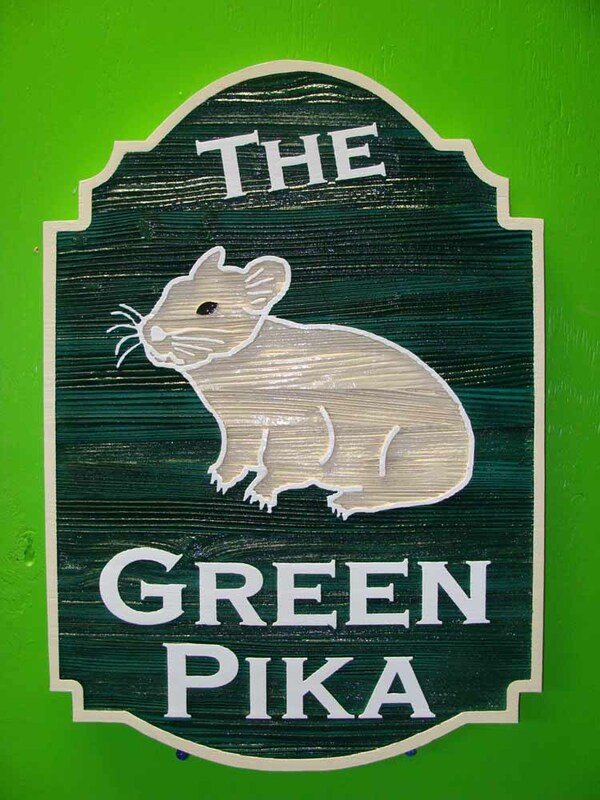 On the right is a carved, Cedar wood sign made for "The Green Pika" gift store. The sign has been lightly sandblasted to show the wood grain pattern. This sign has raised text, its border, and the outline of the Pika. The sign has been painted with bright long-lasting automotive-grade enamels and clear-coated twice, making it suitable for either indoor or outdoor use. It can be hung from a wrought iron scroll bracket.